Does your kid love Mario as much as mine does? I see myself decorating for a Mario themed Birthday party in the very near future. 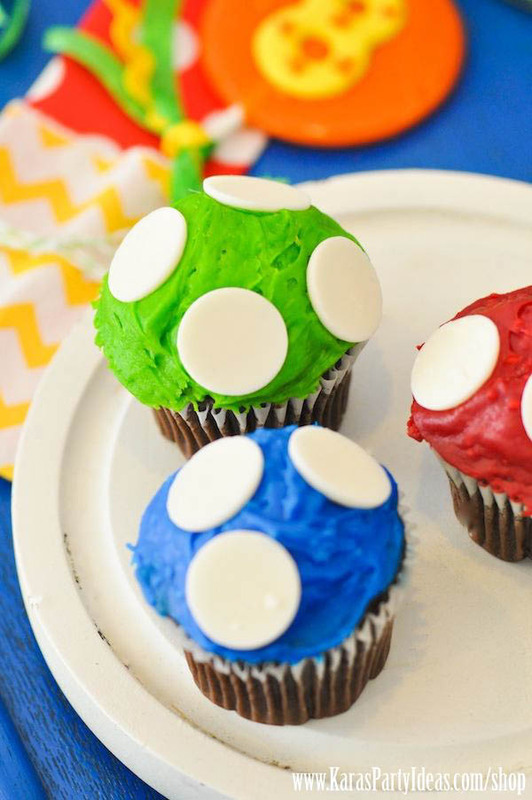 Here are some ideas I’ve collected about decoration for a Mario themed birthday party. You could bake the cupcakes yourself, or it would be even easier to order plain cupcakes from your local bakery and decorate them with white candies. There are a bunch of options when it comes to white circle candies. You could use M&Ms for smaller dots, or these white Candy Melts for larger polka dots. 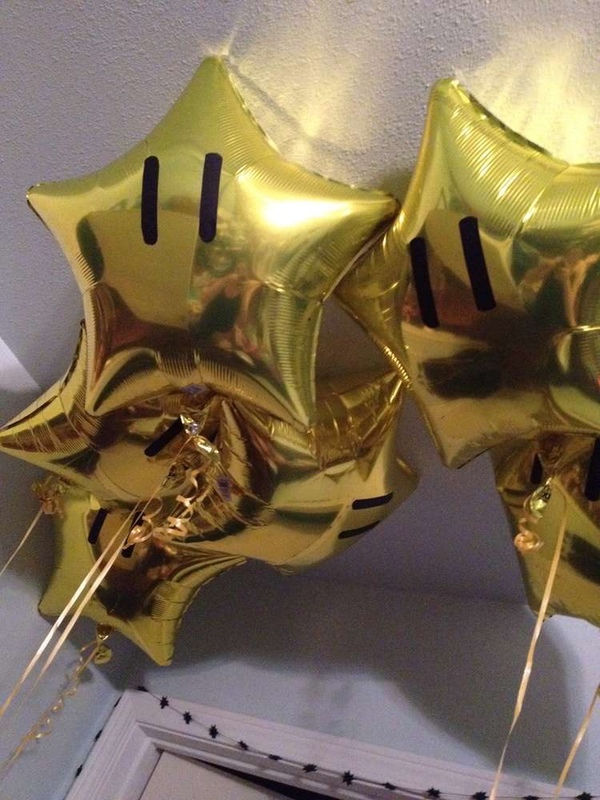 You can easily make these balloons with gold metallic star balloons, and make eyes with short strips of black electrical tape. 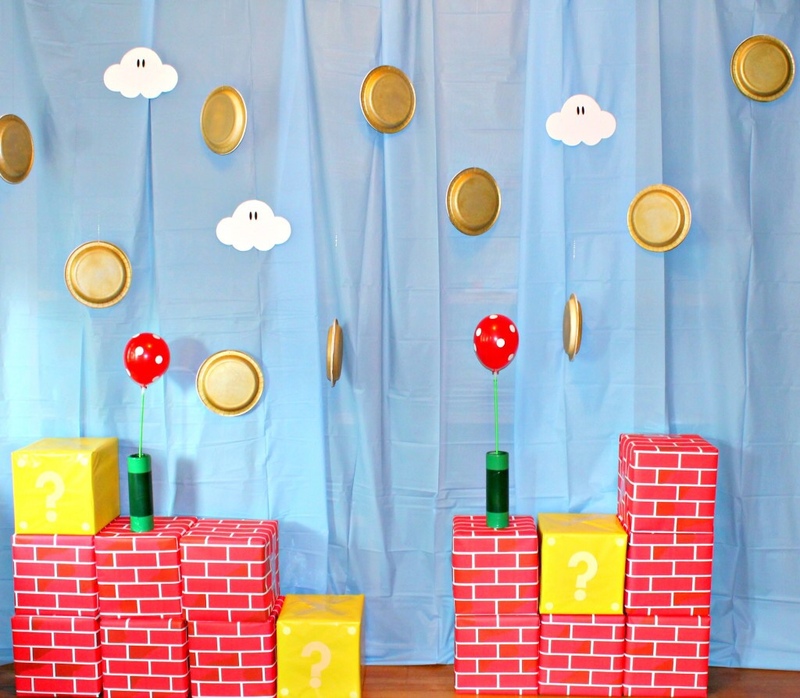 And here is the cutest Mario party backdrop! I love how detailed it is — yet every component is still a very approachable DIY project. Gold paper plates are hung from the ceiling to make coins. And empty boxes are wrapped in brick wrapping paper. Adorable! That brick backdrop linked above is actually a 4ft by 30 ft roll od brick-printed plastic — but its one of the more affordable ways to wrap that many boxes are you see in the photo! 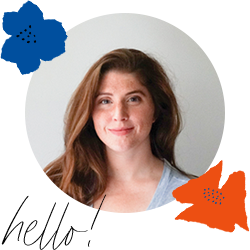 Check out the full post on Borealis Blog to see more.